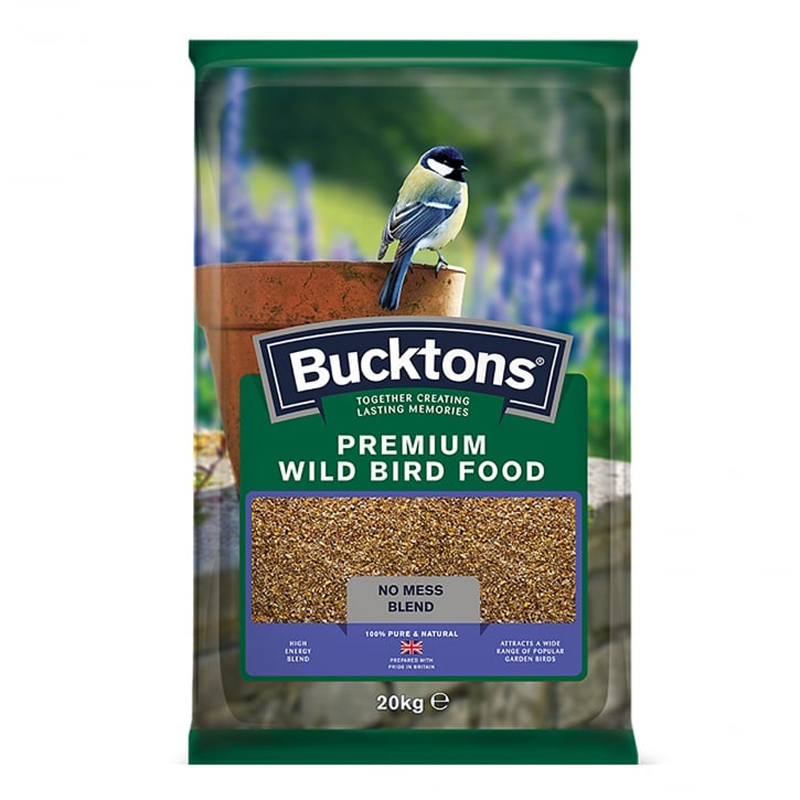 Contains a large range of 'no mess', high energy seeds to appeal to a wider variety of wild birds. Wild birds have varying nutritional requirements and feeding abilities. As a general rule, the broader the range of foodstuffs and methods of feeding that you can provide, the greater the variety of birds you will attract to your garden to feed! Only the very best ingredients, sourced from reputable growers, are incorporated within Bucktons products. This, along with a commitment to cleanliness and consistency, form the key values at the heart of the Bucktons range.